Home > OB/GYNs > Obstetrics > Nhi T. Phan, M.D. Nhi T. Phan, M.D. is in practice with Karen Fehr-d'Alessandro and is now accepting new patients. She also is part of the My Telfair Doc team of experts. Dr. Phan is a graduate of the University of Michigan and received her medical degree from Ross University School of Medicine. She completed her residency in obstetrics and gynecology at Oakwood Hospital Medical Center in Dearborn, Michigan. 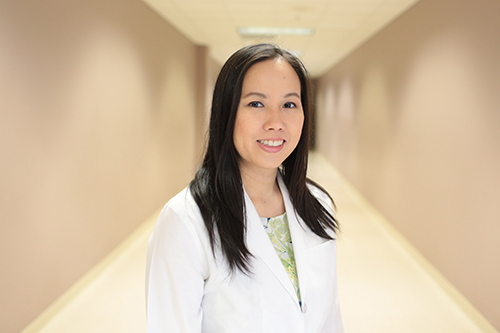 Dr. Phan is a member of the American Medical Association and a Junior Fellow of the American College of Obstetricians and Gynecologists. Call 912-692-1080 to schedule your appointment with Dr. Phan today. Dr. Phan has two convenient locations to serve your needs.